Was This A Genuine Warning? 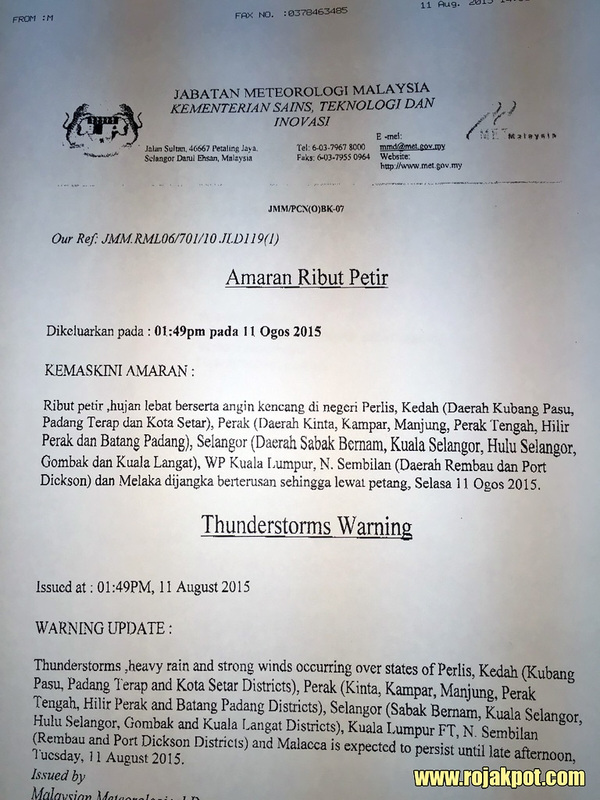 At 1:49 pm on the 11th of August 2015, the Malaysian Meteorological Department issued a thunderstorm alert for a large swathe of peninsular Malaysia. The warning extended as far north as Perlis and all the way south to Melaka. 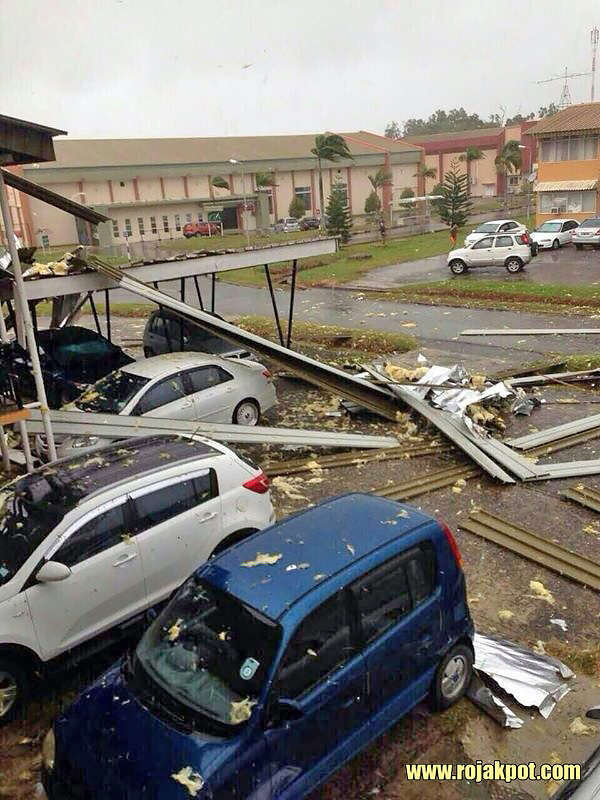 However, it appears that the thunderstorm was particularly ferocious in Perak, with a report of a tornado in Manjung. Verdict : True. The Malaysian Meteorological Department did issue the thunderstorm alert as pictured below. This was also posted on their official Facebook page, which is why it was so believable. Credit for the pictures in this report goes to William Wong. Thanks! 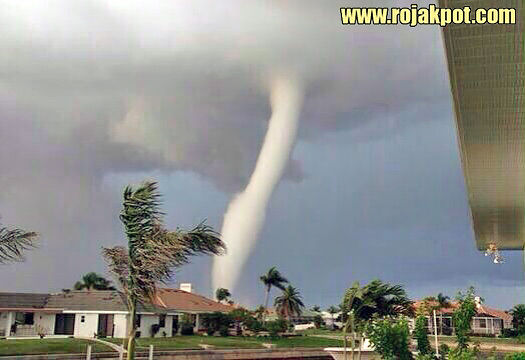 Here are a picture of the tornado that apparently hit Manjung, Perak earlier this afternoon. Verdict : False. We could not determine the provenance of this picture, or identify its location. However, we traced this photo all the way back to July 2009, so it cannot be of yesterday’s thunderstorm. Verdict : Undetermined. We could not determine the provenance, age or location of this picture. If you can identify the time and/or place for this picture, please let us know. Verdict : False. From our investigation, this photo was taken in Brunei on the 10th of July, 2015. 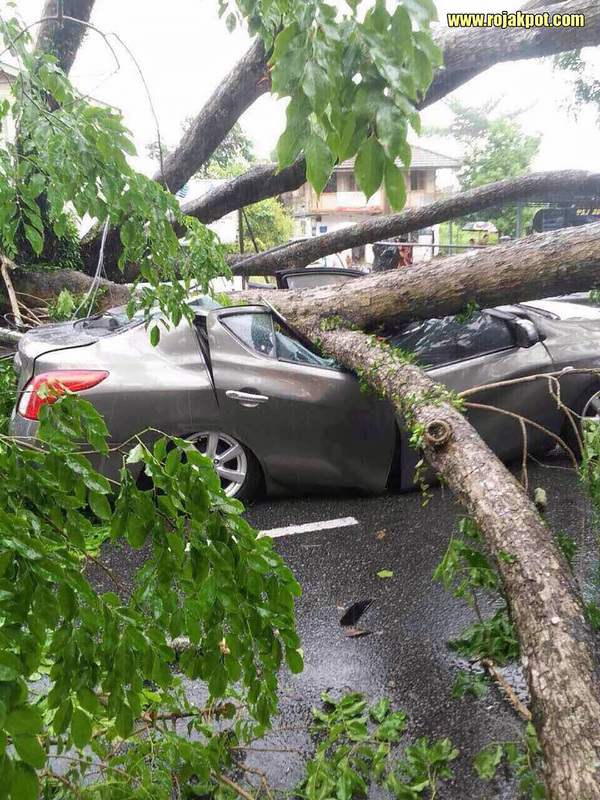 On that day, a ferocious storm ripped through four districts in Brunei, tearing off roofs and toppling trees. This is a picture of one of the cars that were destroyed by uprooted trees from that storm. We hope that no one was hurt in this terrible thunderstorm. Previous : Adding Milk To Coca-Cola Is Poisonous? Next : Want A Free 10400 mAh Mi Power Bank? 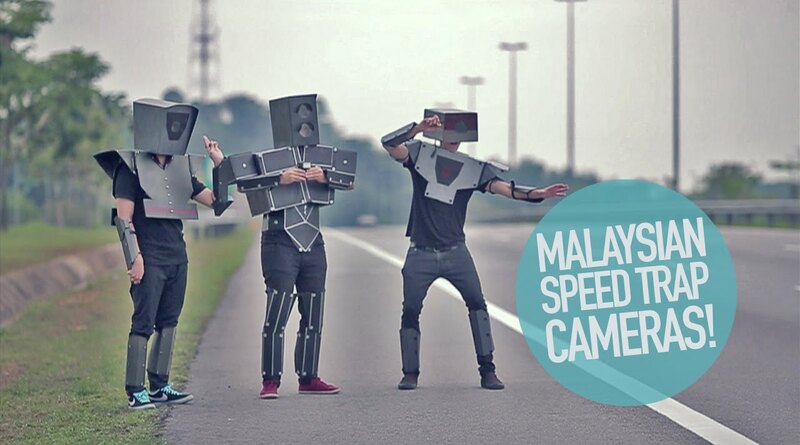 You said that the above picture taken at Brunei? I don’t so Brunei want to use our Perodua Kembara, ok? Actually, the verdict refers to the picture BELOW the verdict. To avoid confusion, I’ve just switched the position of each verdict. Take a look.